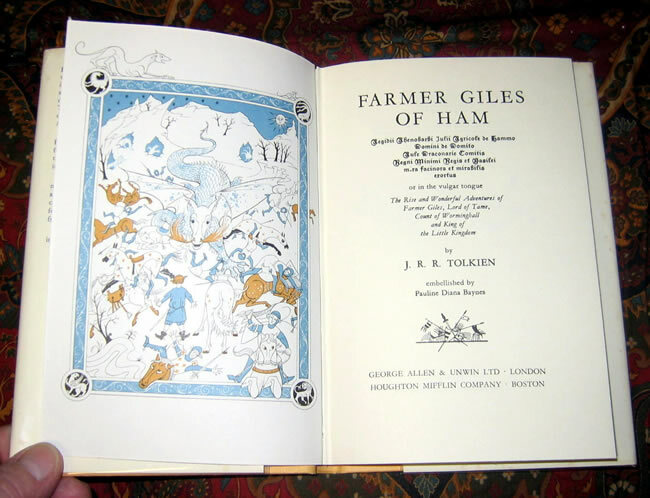 #000453 - Farmer Giles of Ham, The Rise and Wonderful Adventures of Farmer Giles, Lord of Tame, Count of Worminghall and King of the Little Kingdom, by J.R.R. Tolkien. 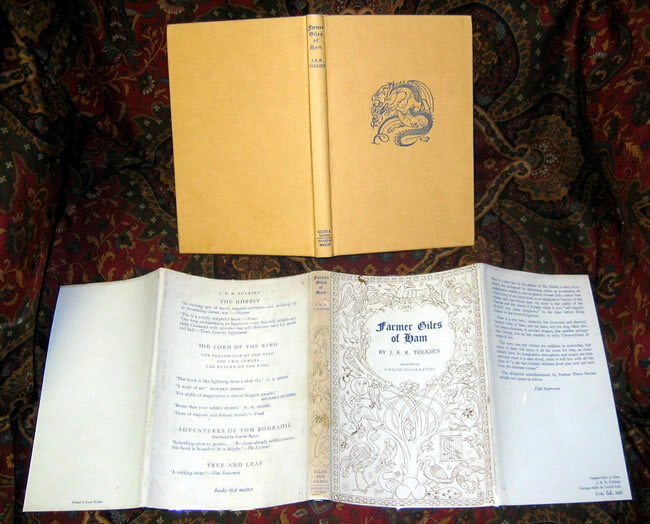 - $75.00 Originally published in 1949, this is the 4th impression of the 1st Edition, published by Allen & Unwin in 1965. 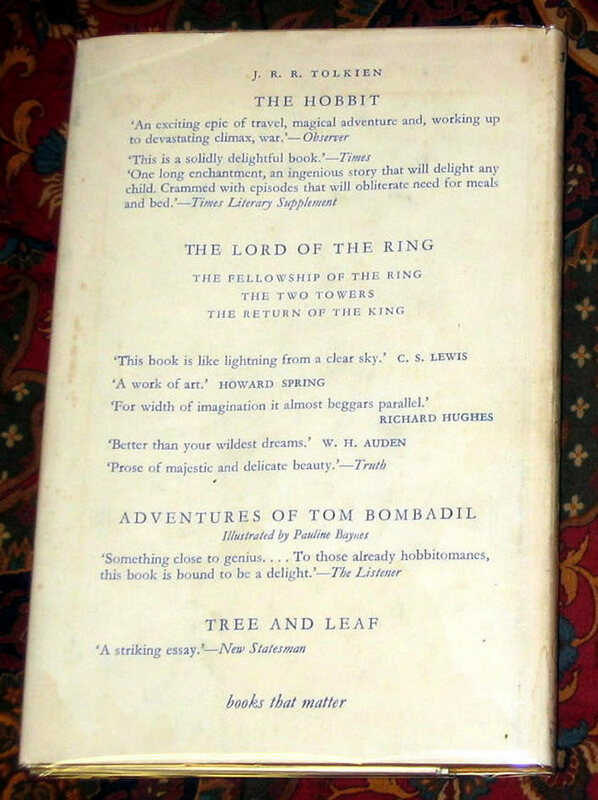 A Near Fine book, with original dustjacket (stated 5th impression) in Near Fine condition as well. 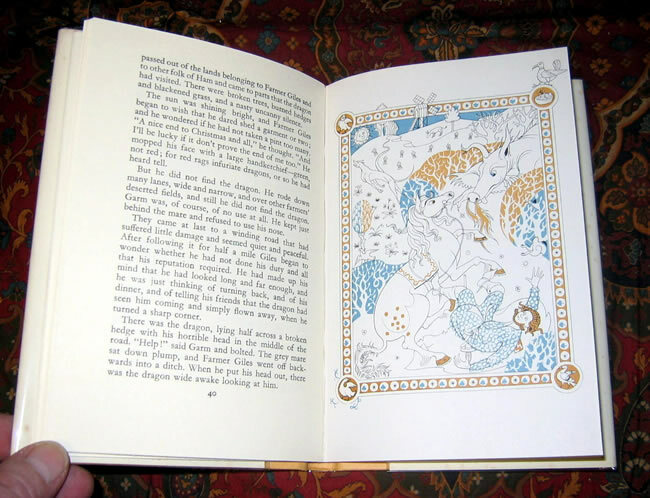 Originally published in 1949, this is the 4th impression of the 1st Edition, published by Allen & Unwin in 1965. 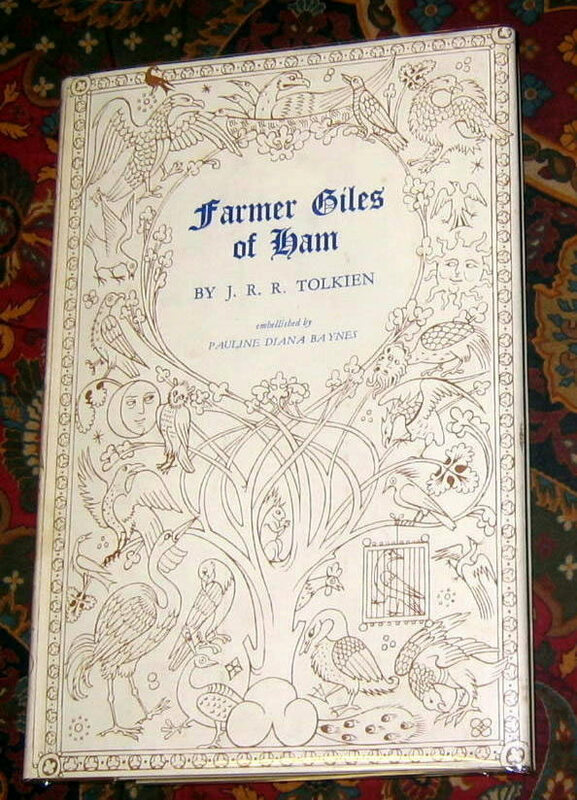 A Near Fine book, with original dustjacket (stated 5th impression) in Near Fine condition as well. Dustjacket shows some sunning to the spine, and is not price clipped.